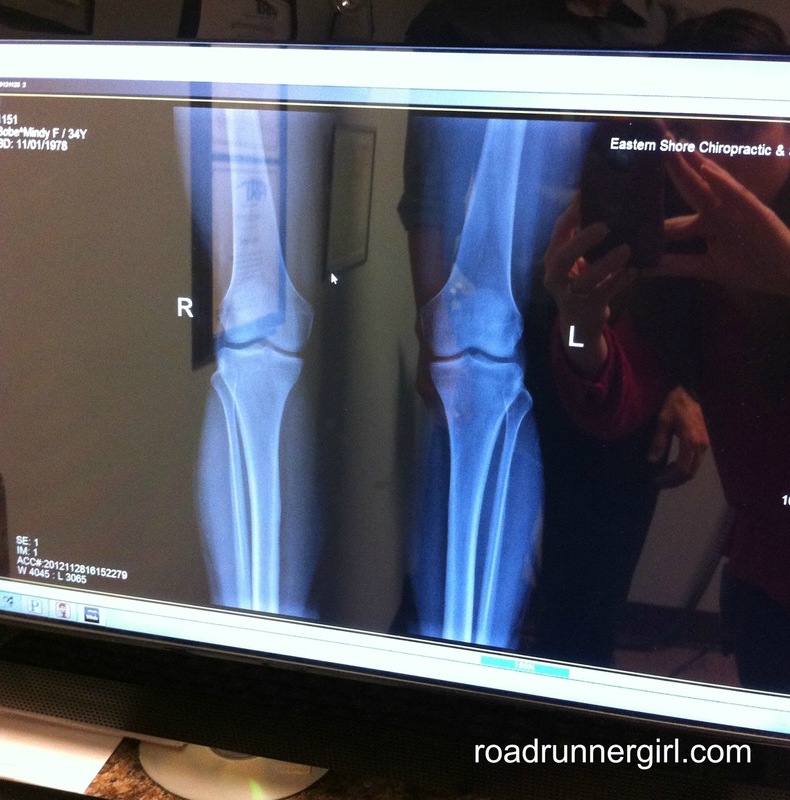 Road Runner Girl: Knee Check! So after all of your wonderful advice about my knee yesterday (can I just say I have the BEST readers ever!!! ), I made an appointment to get it checked out. Several of my runner friends recommended the same doctor...a chiropractor that specializes in sports related injuries. 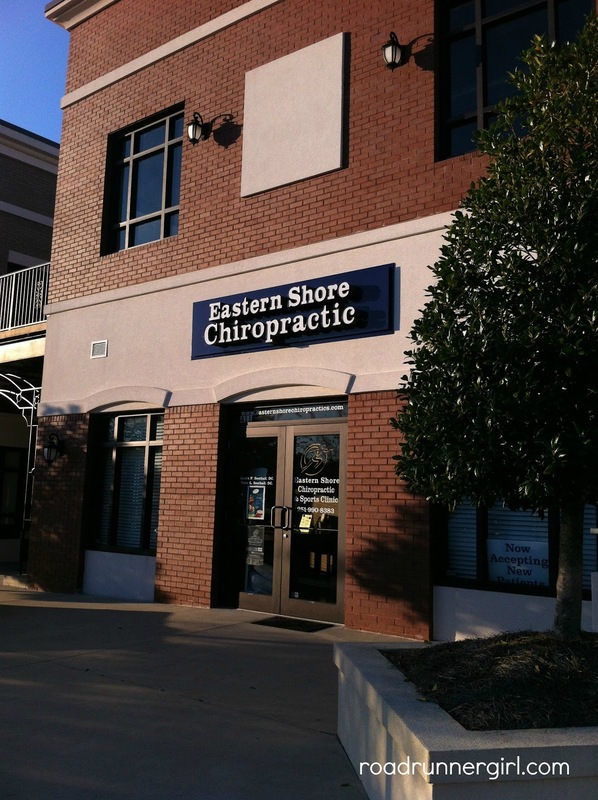 So I called Eastern Shore Chiropractic and Sports Clinic to discuss my problem and make an appointment. The only appointment they had for yesterday was at 2:30 and I was subbing until 3:00. So that didn't work. They didn't have any more appointments until Monday at 2:15. I went ahead and booked the appointment but asked if they had any cancellations for yesterday or today to please call me. Well it must have been my lucky day because about 15 minutes later they called me back and said they were going to work me in at 4:00 that day!!! Awesome customer service for sure!!! I pulled up to the office and immediately got super nervous. And when I get nervous I get weepy. So I prayed that I wouldn't cry in front of the doctor...because I normally do and I hate that! It's so embarrassing! And I prayed that I would get good news. The office was super nice on the outside! And the inside was just as nice! I loved it from the moment I walked in! And the receptionist automatically knew who I was before I told her! That made me feel so welcome! I only waited about two minutes in the waiting room before they called me back. They took me to a room and the nurse asked me a few questions about my injury and how it happened and my pain scale. Then the doctor came in...Dr. Justin Southall. He introduced himself as Dr. Justin! I thought that was pretty cool! He asked me more questions about the fall I had and looked at my knee. He decided he wanted to take a few x-rays. He took me into the x-ray room and administered the x-rays himself. Then I went back into the patient room and it took about 30 seconds and my x-rays appeared on the computer screen!!! I just LOVE technology!!! He said my knees looked great and were identical. That was music to my ears!!! No fracture!!! But he did say that sometimes it takes fractures three weeks so show up...and it has only been 12 days since I fell in New Orleans. But he didn't seem to think that would be my case since the fall wasn't a huge trauma. After looking at the x-rays he took me into another room and started moving and rotating my knee. You could hear the patella bone seeming to get stuck when he was bending my knee. He adjusted it somehow and it stopped doing that! He said my patella seemed to be a little out of alignment which could be causing some of the pain. 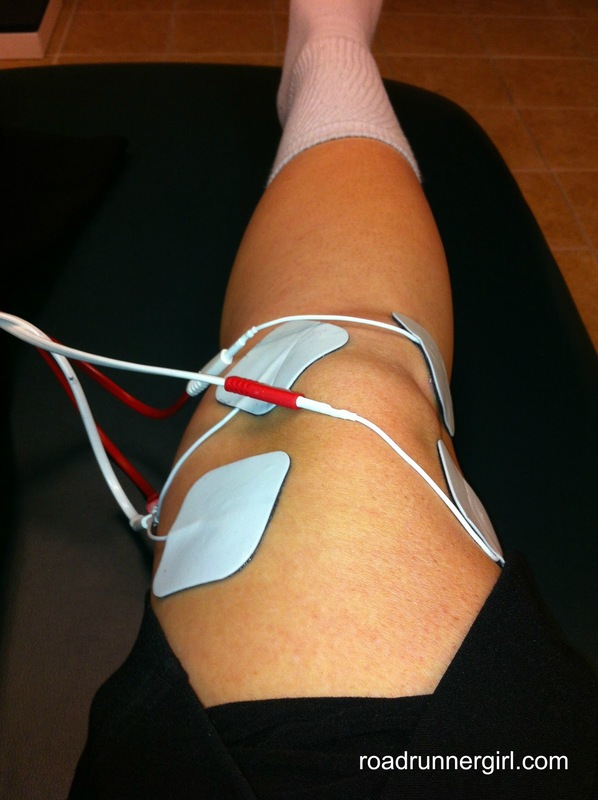 Then we went to a different room and he hooked me up to a machine called E-stim. Basically it sends electrical currents through electrodes to your muscles to make them contract. It felt like the muscles were pulling and pushing. He put a heat pad on top and I got to lay there and relax for about 15 minutes that way! 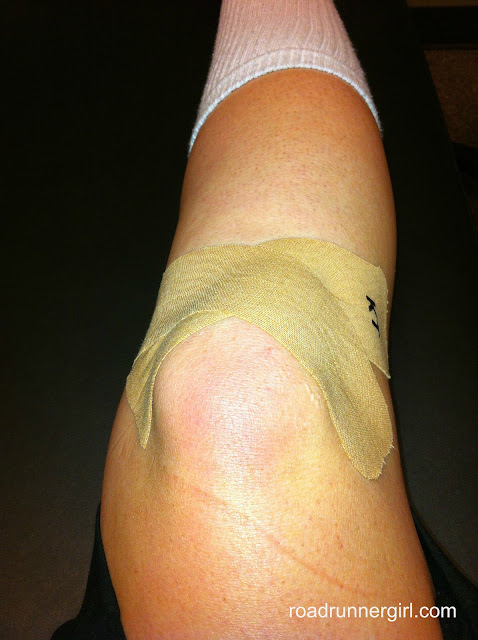 After the E-stim, I went back into another room and he taped my knee with KT Tape (he apologized for not having any pink tape!). He wants me to keep the tape on for a few days but it was already peeling off by the time I left. He said it was probably coming off because of lotion on my legs. But my awesome friends Paige and Andrea use KT Tape all the time so I may see if they will retape me...on non lotion legs! Dr. Justin doesn't want me to run this weekend. He says he thinks I should be able to run in about a week. And my half marathon for next weekend is a GO!!!! In the meantime, I have to go see him two times next week. He also offered to tape my knee for the race. 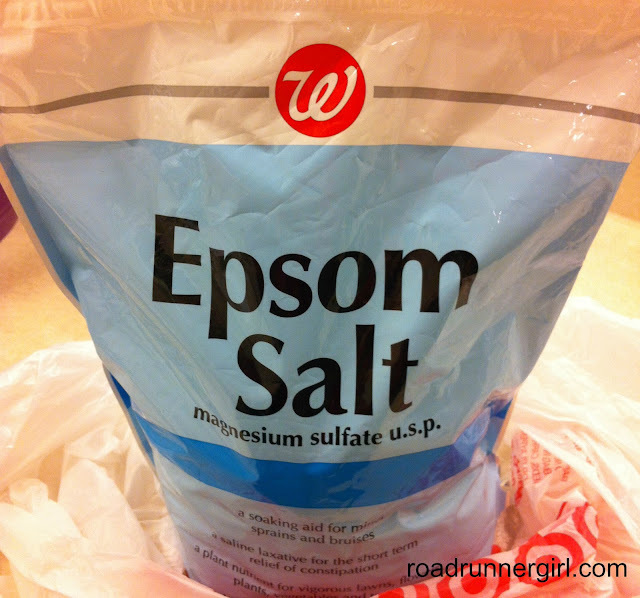 I also have to take a 15 minute Epsom salt bath and then ice the knee for 15 minutes each day. And he wants me to apply Biofreeze two times each day. And of course.....stretch! Dr. Justin also said I could cross train on the bike or anything that doesn't hurt the knee. So that's my road to recovery...and I am pretty pleased with the route! I am so thankful that this isn't a serious injury!!! Thank you so much for all your prayers...please keep them coming just in case! 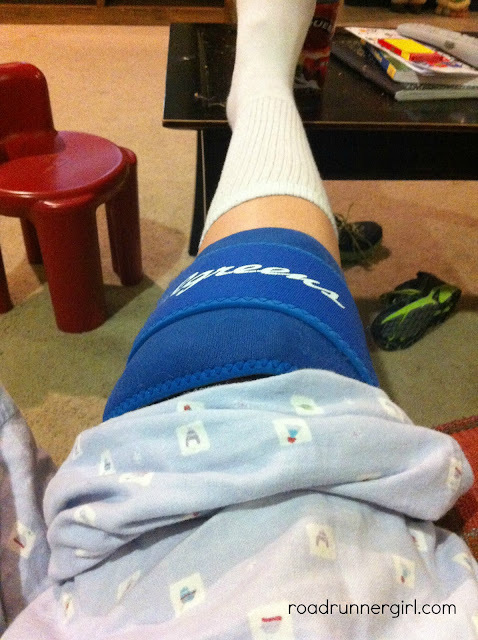 I won't really know how well the knee is until I run on it again. 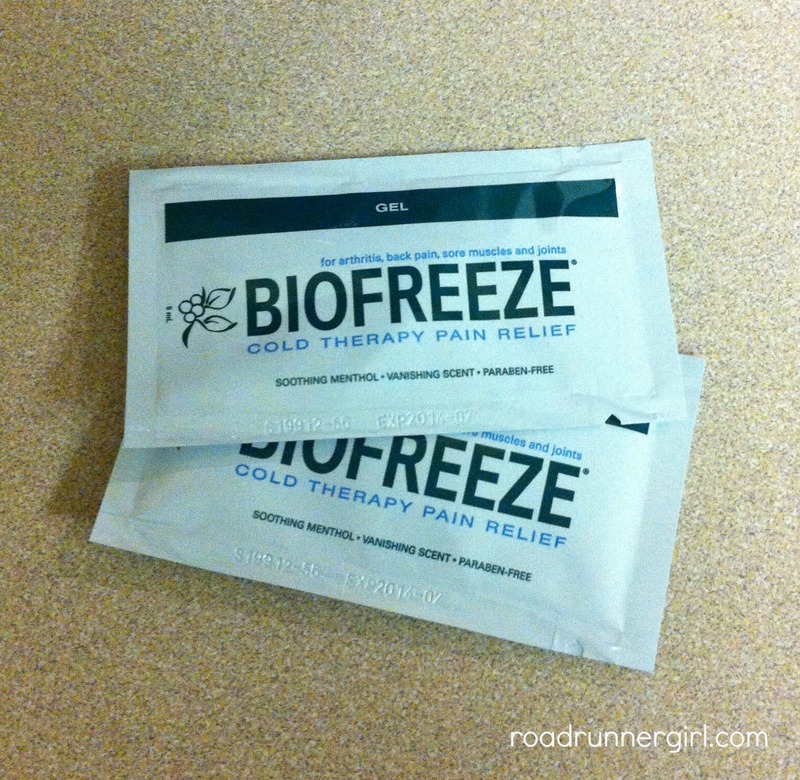 And let's not forget the Biofreeze! I want to say a special thank you to Dr. Justin for making me feel so welcome! I really liked his office and staff and feel like I am in good hands! 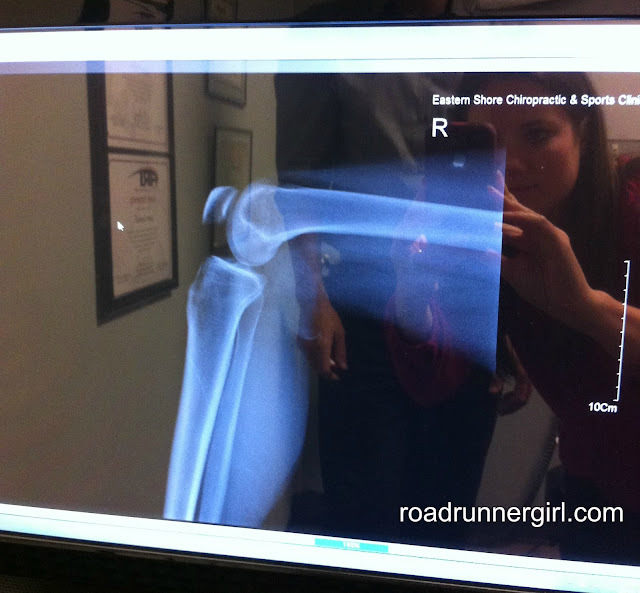 Dr. Justin understood my situation as a runner and that made it much easier! Here's to hoping my knee recovers quickly! QOTD: Have you ever seen a Chiropractor for an injury?